This study aims to analyze the impact of financial development, foreign direct investment, economic growth, electricity consumption, and trade openness on environmental quality for a panel of 59 Belt and Road Initiative (BRI) countries, over the period of 1980–2016. The presence of the environmental Kuznets curve (EKC) hypothesis is investigated. The cross-sectional augmented Dickey-Fuller (CADF) and cross-sectional Im, Pesaran, and Shin panel unit root test; the Westerlund cointegration test, the dynamic seemingly unrelated regression (DSUR) approach; and the Dumitrescu and Hurlin (Econ Model 29:1450–1460, 2012) panel causality approach are employed. It is found that the analyzed variables are stationary at first differences and are cointegrated. It is also found that an increase in financial development, foreign direct investment, and trade openness enhance environmental quality, while the increase in economic growth and electricity consumption degrade environmental quality. The presence of the EKC hypothesis for the selected panel countries is validated. Furthermore, the Dumitrescu-Hurlin (DH) panel causality test result confirmed the presence of bidirectional causality among economic growth, foreign direct investment, financial development, electricity consumption, and trade openness with environmental quality. The debate on financial development, economic growth, and carbon dioxide (CO2) emissions has received immense attention in the energy economic literature, worldwide. However, the role of financial development in the economic growth context and its impact on environmental quality is quite important, as it depends upon the availability and efficient use of financial resources, which is closely associated with economic growth (Khan et al. 2017). Currently, financial development is using an additional variable in the literature and, more interestingly, it can be use an important tool for determining the growth-environmental link (Omri et al. 2015). Both economic growth and financial development can impact on environmental functions, such as to control trade and energy consumption and to attenuate GHG emissions (Farhani and Ozturk 2015). A large number of empirical work indicate that trade openness and financial development can influence the levels of carbon emissions in different regions and countries worldwide (Javid and Sharif 2016). Therefore, the state-of-the-art agrees with two different schools of thoughts regarding the influence of financial development on environmental quality. According to the first view, financial development alleviates the credit constraints and enhances investments in high energy consumption projects (i.e. by purchasing of large ticket items), which resulting in boosting economic growth, energy consumption, and CO2 emissions. However, the second school of thought upholds that financial development enhances investments in advance and energy-efficient technologies, which reduces energy consumptions and improve environmental quality (Abbasi and Riaz 2016; Saud et al. 2018). CO2 emissions and financial development trends are presented in Figs. 1 and 2, respectively. Economic growth is considered one of the key determinants of causing CO2 emissions, which reduce environmental quality. There are three different views existing regarding environmental-growth nexus. The first view supports the view of Grossman and Krueger (1991), and they offer that in the initial phase, acceleration in economic growth causes high CO2 emissions, but later after reaching to a certain turning point, further increase in economic growth starts to mitigate emissions of CO2 and thus support the environmental Kuznets curve (EKC) hypothesis. Second, it is believed that a high consumption of energy leads to high carbon emissions. Finally, it is believed that there is a causal relationship between economic growth and environmental degradation (Wang et al. 2018). It implies that economic growth is one of the main culprits to CO2 emissions. The economic growth trend is provided in Fig. 3. Thus, it is useful for economies growth to boost its investment efficiency, business opportunities, advanced technologies, savings, and exchanges of goods and services (Shahbaz and Lean 2012). In September 2013, the Chinese government called for jointly building the “Silk Road Economic Belt” to establish regional cooperation among different countries. A month later, the Indonesian government also called for the establishment of Asian Infrastructure Development Bank (AIDB) and the construction of the “21st Century Maritime Silk Road” (Central Committee 2013; Huang 2016). In March 2015, this action plan was approved by the State Council (NDRC, FM and, MC 2015), and later in 2016, China officially termed these proposals as the “One Belt One Road Initiative” (OBORI) or the “Belt and Road Initiative” (BRI). A Chinese report1 identified 65 countries, i.e., 24 from Europe, 26 Asian (8 East Asian, 2 Southeast Asia,11 Central Asian, and the remaining 5 from South Asia), and 15 the Middle East and North African countries, will actively participate in the BRI (Chin and He 2016). It covers 4.4 billion peoples, which is 62.3% of the global population and covers 30% global GDP. Through this initiative, the financial and economic development will be achieved through high policy management and by cultural and personnel exchanges among the participating countries. This is one of the vast projects with huge financial gauge ranging from 1.4 trillion USD to 6 trillion USD (NDRC, FM and, MC 2015). However, along with these 65 countries, other 48 countries also shows their interests to become active participants in the BRI. But, in 2017, the number of the participating countries hosted with the State Information Center reached to 71 countries, with a total investment of 6 trillion USD (which represents 34% of the global GDP) (Krane 2018). Further, The BRI carries the wide-range economic objectives along with financial integration, unimpeded trade, connectivity of facilities, infrastructure, economic openness and development, and efficient utilization of resources (NDRC, FM and, MC 2015). In March 2015, the Chinese National Development and Reform Commission, with the Foreign Ministry and Commerce Ministry, issued the BRI plan, which specified that the Silk Road Economic Belt will embrace three routes: (I) China-Central Asia-West Asia-Persian Gulf-Mediterranean Sea, (II) China-Central Asia-Russia-Europe (the Baltic regions), and (III) China-Southeast Asia-South Asia-Indian Ocean. On the other hand, the Twenty-First Century Maritime Silk Road will be comprised of two routes: (I) Coastal China-South China Sea-South Pacific and (II) Coastal China-South China Sea-Indian Ocean-Europe (Chin and He 2016). This initiative will bring socioeconomic development in the BRI countries. The Silk Road fund was initially launched by the Chinese government in December 2014, with an initial registered capital of 10 billion USD and total 40 billion USD. Late in 2016, this fund has signed 15 projects including infrastructure construction, industrial cooperation, financial assistance (i.e., through financing, equity stakes), and exploration of natural resources with an estimated investment worth 6 billion USD. In shaping the worldwide inclusive globalization, it provides fruitful results with 270 deliverables in different five important areas such as financing, policy coordination, infrastructure, trade, and people to people (P2P) exchange. The BRI is a unique platform for wide-ranging globalization and for mutually beneficial collaboration (Chin 2017). This initiative will promote trade and will enhance economic integrations across Asia, Europe, and Africa and possibly beyond. Additionally, investment activities are required to enhance economic growth and development among the Belt and Road Initiative-participating countries (Fung Business Intelligence 2017), and such activities can also have an impact on the environment. Environmental quality has become a major concern for all countries around the globe, and it is a common perception that economic growth causes environmental degradation. An enormous body of economic-environmental literature has emphasized the growing importance on the relationship among economic growth, energy consumption, and environmental degradation. This will determine the adequate policies required to enhance the environmental degradation (Kahia et al. 2016). 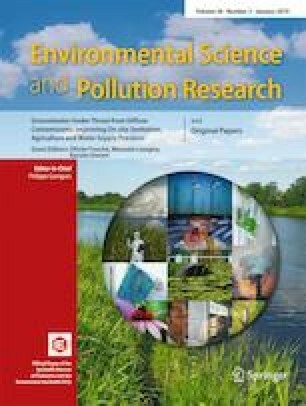 In recent years, environmental policies are not yet rigorous in most of the countries and there has been a growing interest in the study of the relationship between long-term economic growth, sociopolitical, and other factors which are hazardous to the environmental quality (Ibrahim and Law 2016). Since the adverse impacts of environmental degradation exceed its instantaneous and direct effects on human health, life, and future generation, it requires serious consideration along with proper control (Demirel et al. 2016). 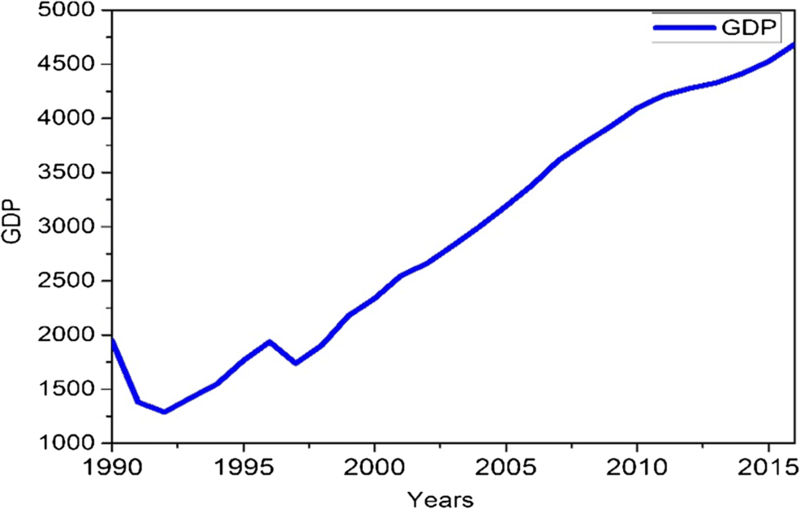 To avoid such losses, awareness regarding improving environmental quality started after the 1960s, among the economists, environmental experts, and policymakers (Shahbaz et al. 2013a). The Kyoto Protocol Agreement initially was launched during 1995 and 1997, by the appreciation of the United Nations Framework Convention on Climate Change (UNFCCC), to curb the global warming and GHG emissions. The CO2 emissions are the fundamental cause to the global warming and environmental degradation compared to the other GHGs, such as nitrogen oxides and sulfur dioxides which usually come from transportation, energy-intensive industries, and power plants (Yang et al. 2015). Hence, a large number of the latest literature use CO2 emissions as an indicator to measure environmental quality (Katircioğlu and Taşpinar 2017; Hafeez et al. 2018). However, most of the environmental protection policies of different countries around the globe are not up to the mark with a reduction of GHG emissions, as high economic growth sources by high energy consumption, which results in high environmental degradations (Shahbaz et al. 2013b). On the other hand, the efficient use of energy resources enhances economic growth and maintains easy access to energy resources (Apergis and Danuletiu 2014). Similarly, it is a well-known fact that the inappropriate or extreme environmental laws and regulations can reduce economic growth, employment, and the competitiveness and also hurt economies (Jakob et al. 2014). Hence, the nexus between environmental quality and economic growth is still puzzling. With respect to environmental adversity, this study carries out an in-depth investigation of the impact of financial development and economic growth on environmental quality for the selected BRI countries. This is potentially an important panel for such kind of investigation and a similar nature of study conducted by Hafeez et al. (2018) for a sample of 52 OBORI countries over the period of 1980–2016. The following shortcomings has been found in their study, which calls for further research. Their study did not validate the EKC hypothesis, while it claims its validation. Further, the fully modified ordinary least squares (FMOLS) and dynamic ordinary least squares (DOLS) approaches are used in their study, which did not provide more comprehensive and reliable results for appropriate policymaking and implication. Currently, many questions about the reliability of the result drawn from these approaches have been raised. Our study extends the number of countries to 59 BRI countries, and it confirmed the possible presence of the EKC hypothesis. Further, the second-generation novel panel estimation approach called the dynamic seemingly unrelated regression (DSUR) is employed. Certainly, the estimated results drawn from this approach are more accurate and reliable. Such results will allow the policymakers to measure the accurate impact of financial development and economic growth on environmental quality. Third, this study used different variables for financial development measure and robustness check to provide more reliable results. Furthermore, the empirical findings of this study will assist the policymaker to establish an efficient energy policy along with finance provisions that guarantee stable economic growth, development, and prosperity in the selected BRI countries. Hence, this study will fill this gap and will provide more reliable and accurate results. The rest of the paper is structured in the following manner: the section “Literature review” is composed of the literature review; the section “Data collection, model, and variable description” provides the data collection, model, and variable descriptions of the study; the section “Results and discussion” provides the empirical results of the study; and the section “Conclusion and policy recommendations” presents the conclusion, discussion, and potential policy implication based on the finding drawn from the study. 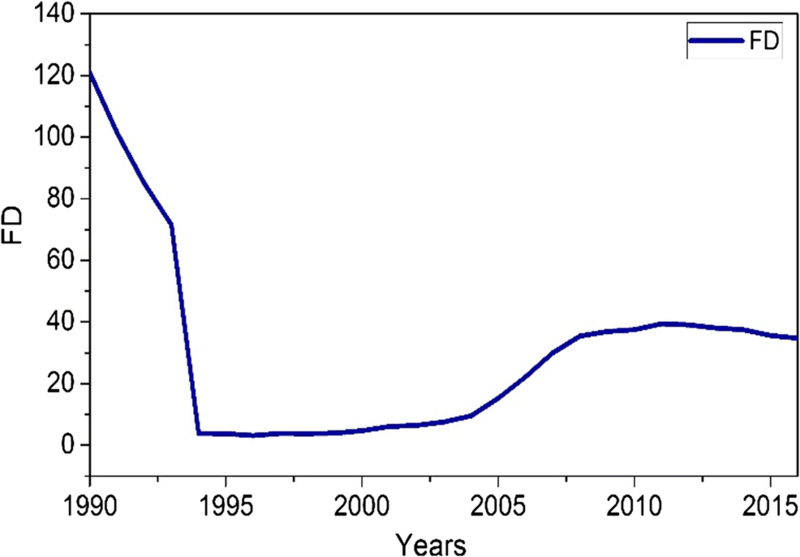 The economic-environmental relationship first established by Kuznet (1955) and the pioneering study by Grossman and Krueger (1995) attract many researchers and economists (Charfeddine and Khediri 2015), whereas the term “environmental Kuznets curve” was first introduced by Panayotou (1993). The EKC hypothesis is tested by examining the nexus between the square of GDP per capita, GDP per capita, financial development, electricity power consumption, and other economic variables which can impact environmental quality. The prior studies have been tested by taking into account electricity consumption that can reflect changes in lifestyle (Ozturk and Al-Mulali 2015a), and a large number of latest studies have tested the validity of the EKC hypothesis (for instance, Ozturk and Al-Mulali 2015a; Bilgili et al. 2016; Wang et al. 2016; Hafeez et al. 2018). Economic growth is closely associated with high energy demand, as higher economic growth requires higher energy consumption, though it is more probable that the use of efficient energy resources can lead to high economic growth. Through economic growth and financial development, numerous economic variables tend to accelerate. Therefore, the economists and researchers are showing their interest to the in-depth dynamic links between the increasing macroeconomic variables. The essential variables are trade openness, energy demand, and economic growth. Moreover, the emissions of carbon dioxides incorporate one hypothesis called the environmental Kuznets curve. Concerning the EKC hypothesis, at the initial stage, an increase in economic growth leads to increase CO2 emissions and after reaching the threshold level further increase in economic growth reduces CO2 emissions (Mahdi Ziaei 2015). Recently, numerous financial development indicators were added to the environment-growth-energy model by the analyses of researchers (for example, Farhani and Ozturk 2015; Dogan and Seker 2016a). Supporting the views of the above researchers, the efforts of incorporating the financial development indicator into the debate on the link between environmental variables, economic growth per capita, and energy consumption are not far-fetched. This is due to financial development indicators that may invite foreign direct investment (FDI), knowledge, and research and development, which can reduce energy consumptions and increase economic growth (Frankel and Romer 1999). It will consequently enhance environmental performance. Second, high financial development provides opportunities and motivation to developing countries to use advance environment-friendly production technologies. This may boost regional development and sustainability and enhance environmental quality (Frankel and Rose 2002). Third, the environmental degradation through high industrial pollutions may also be mitigated by high financial development. It offers that financial development can play an important role in environmental improvement by facilitating financing at lower costs of investment in environment-friendly projects (Jansen 1996). The energy-environmental-income literature comprises numerous numbers of country-specific studies, which validate the EKC hypothesis and impact economic growth and energy consumption on environmental degradation (for instance, Farhani et al. 2014; Heidari et al. 2015; Kasman et al. 2015; Seker et al. 2015; Li et al. 2016; Zambrano-Monserrate et al. 2016; Balaguer and Cantavella 2016; Gokmenoglu and Taspinar 2016; Awad and Abugamos 2017). Similarly, the EKC was validated for panel countries (Al-Mulali et al. 2015a, b; Apergis and Ozturk 2015; Heidari et al. 2015; Kasman et al. 2015; Zaman et al. 2016; Ouyang and Lin 2017; Keho 2017; Le and Quah 2018), whereas with respect to the above literature, the EKC hypothesis was investigated but not confirmed by a numerous number of studies such as Farhani and Ozturk (2015), Ozturk et al. (2016), Hao et al. (2016), Le (2016), Ali et al. (2017), and Hafeez et al. (2018). In the existing literature, a large number of studies have also investigated the EKC hypothesis along with financial development in country-specific studies (Farhani and Ozturk 2015; Seker et al. 2015) and for panel studies (Gokmenoglu and Taspinar 2016; Ozturk et al. 2016). Hence, the state-of-the-art related to the above-discussed areas examined different countries and regions worldwide and provided inconclusive and mixed results. This study aims to investigate the impact of financial development and economic growth on environmental quality. Currently, 71 BRI countries are hosted by the State Information Center (Krane 2018); however, the selection of countries and the starting time period were constrained by the availability of data. Therefore, it reduced our sample size from 71 countries to 59 countries. The data is retrieved from the World Development Indicators, at the World Bank website (http://data.worldbank.org), from 1990 to 2016. The analyzed variables, i.e. CO2 emissions in metric tons per capita is used as a proxy to measure environmental quality and economic growth, and the square of economic growth is measured by real gross domestic product per capita in constant 2010 USD. The proxies used to measure financial development are the domestic credit to private sector % of GDP (FDPS), domestic credit provided by the financial sector % of GDP (FDFS), and domestic credit provided to the private sector by banks % of GDP (FDB) (Shahbaz et al. 2017). This study used the domestic credit to private sector percent of GDP as a measure of financial development, and other measures, i.e. the domestic credit provided by the financial sector (% of GDP) and the domestic credit provided to the private sector by banks (% of GDP), are used as proxies for robustness check. Foreign direct investment is measured as the net inflows percentage of GDP. Trade openness is measured by the sum of imports and exports of goods and services percentage of GDP. The electricity consumption is measured by electric power consumption (kWh) per capita. The variables and their descriptions are presented in Table 1. It is worth to mention here that in this study, we use the software Stata/MP 13.0 version, EViews 9.5 version, and Origin-Pro 2016.
where i denotes the number of countries; t indicates the number of periods; β0 indicates the slope intercept; β1, β2,…, β6 are the coefficient estimates of electricity consumption, economic growth, square of GDP, financial development, foreign direct investment, and trade; and λ denotes the error term. The summary statistics of the 59 BRI countries over the period 1990–2016 is provided in Table 2. The statistics indicate that there is a high variation in the level of economic growth, i.e. the highest value 18,858.88976 USD in Qatar, while the lowest value 103.5972509 USD in Nepal. According to the World Development Indicators, the mean value of the economic growth fluctuates from 53,018.82278 to 267.5014013. The foreign direct investment net inflows indicate a great variation in ranges from 540.9635554 USD in Georgia to 0.174559078 USD in Nepal, with mean values that varies from 1941.295885 to 0.22494149. The electricity consumption ranges from 3556.343579 total energy consumed in Kuwait to 0.883996129 total energy consumed in Georgia. The variation in energy use differs from region to region due to technology variations and different policy frameworks. The mean values for electricity consumption vary from 18,915.6159 to 1.65129982. The CO2 emissions varies from 5.54662255 metric tons per capita in United Arab Emirates to 0.06922162 metric tons per capita in Myanmar, and its mean values vary from 52.22123351 to 0.136296933. The selected 59 BRI countries can be cross-sectionally dependent. The first-generation panel unit root tests may not be reliable to apply due to the low power of the test (O’Connell 1998). However, to overcome this problem, this study preferred to use the cross-sectional Im, Pesaran, and Shin (CIPS) and cross-sectional augmented Dickey-Fuller (CADF) techniques established by Pesaran (2004, 2007). The CIPS and CADF account for the problem of cross-sectional dependence from country to country and produce consistent and reliable results in the presence of both cross-sectional dependence (CD) and HTR. Therefore, this study prefers to use the second-generation unit root test over the first-generation unit root tests like IPS, LLC, and ADF. The reported results of the second-generation unit root tests (i.e. CADF and CIPS) are provided in Table 3. The reported results from both tests indicate that all the variables are stationary at first differences at 1% and 10% levels of significance. Hence, the reported variables are integrated at first differences [I(1)]. After, confirmation that the data is stationary through CIPS and CADF unit root tests performed. Next, this study prefers to apply the Westerlund panel cointegration test developed by Westerlund (2007) to capture cross-sectional dependency in the data. It is significant to check the cointegration among the variables of interest. The Westerlund (2007) cointegration test provides more robust and consistent results for cointegration. The results are divided into two: group statistics (Gt, Ga) and panel statistics (Pt, Pa). Group statistics do not imply information from the error correlation term, while the panel statistics are basically based on amalgamating the information from the error correction mechanism along with cross-sectional units (Latif et al. 2018). The results are reported in Table 4, which reveals that the null hypothesis of no cointegration is rejected. Hence, the cointegration exists among CO2 emissions, financial development, foreign direct investment, economic growth, electricity consumption, and trade openness for 59 BRI countries. The estimation of long-run coefficients of the analyzed variables (such as economic growth, square of economic growth, foreign direct investment, financial development, electricity consumption, and trade openness) is one of the important inferences of an empirical work. The issues of heterogeneity and cross-sectional dependence arise in panel data, keeping such issues in mind this study prefers to use the second-generation estimator, namely “dynamic seemingly unrelated cointegrating regressions (DSUR)” documented by Mark et al. (2005), rather than first-generation estimators such as FMOLS and DOLS. In case the value of T is greater than the value of N, still this estimator can provide good prediction and consistent normal distribution. The results of the dynamic seemingly unrelated regression estimator are presented in Table 5. The coefficient estimates are statistically significant at 1% and 10% levels, as reported in Table 5. The reported data are first converted into their natural logarithm, and the estimated coefficients transported are similar to the elasticity levels of emissions of carbon dioxide with respect to the analyzed variables, i.e. economic growth, square of economic growth, foreign direct investment, trade openness, financial development, and electricity consumption. However, the magnitude of coefficients (for all variables) in model-1, model-2, and model-3 varies across the estimators used and their sign remains the same along with significance levels across all the models (except for trade openness in model-1 and model-3). 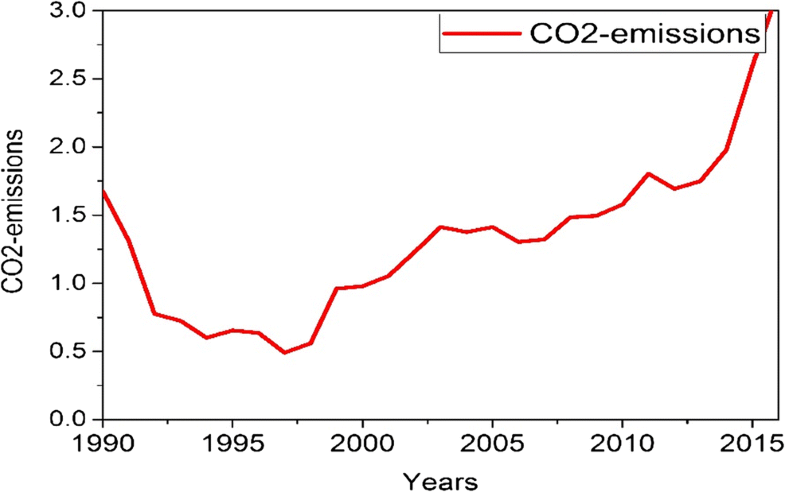 The emissions of CO2 have used a proxy for environmental quality. The finding shows that the coefficient of economic growth is positive, and the square of economic growth is negative, while their magnitude varies across the models. Therefore, regarding the effects of economic growth, the squares of economic growth are positive (1.3370240, 1.3292260, and 1.3403820) and negative (− 0.1278405, − 0.1276813, and − 0.1282594) on CO2 emissions across model-1, model-2, and model-3, respectively. In other words, an increase in economic growth can lead to boost environmental quality after reaching the economic growth to the threshold level in the selected BRI countries. More precisely, the influence of growth on CO2 emissions shows that the marginal effect of economic growth at the initial stage is positive, and starts to decline gradually and finally becomes negative. This finding validates the possible presence of the EKC hypothesis for the 59 BRI panel countries. This finding is in line with Bekhet and Othman (2017) for Malaysia, Zhang et al. (2017) for newly industrialized countries, and Zaman and Moemen (2017) for low-, middle-, and high-income countries and for the aggregated panel. On contrary, our finding is not in line with Ozturk and Al-Mulali (2015b) for Cambodia, Inglesi-Lotz and Dogan (2018) for Sub-Saharan African countries, and Hafeez et al. (2018) for OBORI countries. One of the possible reasons for the presence of the EKC hypothesis can be that these economies enhances environmental quality by reducing the volume of polluted goods in electricity consumption activities. The reported results indicate that FDI has a negative and highly significant (at the 1% level of significance) long-run impact on environmental quality. A 1% increase in FDI can reduce CO2 emissions by − 0.0308394%, − 0.0321419%, and − 0.0306342% (in model-1, model-2, and model-3), respectively. In other words, an increase in FDI leads to reduced energy consumption, which results in mitigation of CO2 emissions. More precisely, an increase in FDI and a reduction in energy consumption improve environmental quality levels, which contrast the pollution haven hypothesis for BRI countries. This finding is in line with Linh and Lin (2012) for Vietnam, Abbasi and Riaz (2016) for Pakistan, and Shao (2018) for 188 panel countries. They found in their studies that an increase in FDI inflows brought technological improvement in the country which led to mitigation of CO2 emissions or enhancement of environmental quality. On the other hand, our finding is not in line with Seker et al. (2015) and Gokmenoglu and Taspinar (2016) for Turkey. Our result supports the view that higher FDI inflows can boost research and development (R&D), which might affect environmental quality (Jalil and Feridun 2011). The magnitude of the coefficient of CO2 emissions with respect to electricity consumption is positive and significant. It implies that a 1% rise in electricity power consumptions can cause an increase in CO2 emissions by 0.5901918%, 0.5901644%, and 0.5898893% (in model-1, model-2, and model-3), respectively, on average all else same. This finding specifies that an escalation in electricity consumption can affect positively on emissions of CO2 in the long run. In another expression, a rise in electricity consumption drives down environmental quality or increases environmental degradation in the selected panel of BRI countries. The finding of the positive impact of electricity consumption towards CO2 emissions is in line with and supports the finding reached by Javid and Sharif (2016) for Pakistan, Kasman and Duman (2015) for EU member countries, and Zhang and Gao (2016) for China. On the other hand, our finding is not in line with the finding reached by Al-Mulali et al. (2015a, b) for 93 countries and by Dogan and Seker (2016b) for European Union countries. The finding reveals that electricity is currently a critical factor for CO2 emissions level, which is highly alarming in the BRI countries. The high energy consumption level causes high environmental degradation, and thus, the policymaker needs to focus on the technological advancement, which can reduce the intensity of CO2 emissions by enhancing electricity consumption efficiency (Choi et al. 2012). The carbon-free energy source (e.g., nuclear and wind)–related advanced technology is also conducive to improve environmental quality (Chen et al. 2011). The coefficient of trade openness with respect to CO2 emissions is − 0.0207214, − 0.0276872, and − 0.0214781, respectively. The estimated coefficient of trade openness in model-1, model-2, and model-3 varies with a same negative sign. The finding infers that the trade openness significantly and positively impacts environmental quality in model-2 only, and is insignificant across model-1 and model-3. The results indicate that trade openness in model-1 and in model-3 neither contributes to enhancing environmental quality. Hence, only the financial sector positively contributed to trade openness to improve environmental quality in the selected panel countries. The reported result for financial development shows that financial development negatively and significantly impacts CO2 emissions, across all different measures used for financial development. The coefficients of financial development (i.e., FDPS, FDFS, and FDB) in model-1, model-2, and model-3 are − 0.0544436, − 0.0586865, and − 0.0520391, respectively, which infers that the magnitude of the coefficient estimates along with three different financial development measures used provides significant and similar results bearing the same negative sign. This finding determines that financial development has significant and negative impact on emissions of CO2. In other words, financial development positively contributes to enhancing environmental quality or environmental cleaning in selected BRI countries. Our result is similar to the finding reached by Al-Mulali et al. (2016) for Kenya and by Khan et al. (2017) for different regions of the world. In contrast, our result is not in line with Mahalik et al. (2017) for Saudi Arabia, Bekhet and Othman (2017) for Malaysia, Saud et al. (2018) for China, and Hafeez et al. (2018) for OBORI countries. The higher financial development attracts FDI, which may result in boost R&D in the regions. This situation might promote investment activities, enhancing economic growth, and can affect the dynamics of environmental quality (Jalil and Feridun 2011). The efficient management of research and development in the regions might enhance environmental quality with low CO2 emissions. In addition, higher financial development can enhance the mobilization of financial capitals for environmental safety-related projects and can also mitigate debt costs (Tamazian et al. 2009). Our finding also supports the view of Kumbaroǧlu et al. (2008), who offer that a well-functioning financial sector of an economy facilitates all tiers of government to take loans for environment-related projects, and bring superior technology innovations in the regions, which significantly contribute to environmental quality by reducing emissions (in the energy sector). Hence, it is crucial to focus on financial development which might have a significantly positive impact on environmental quality by reducing CO2 emissions in the BRI countries. Along with panel estimation, it is imperative to present the long-run country-wise estimation for appropriate policymaking and implication. The country-wise results are presented in Table 6. The empirical finding shows that an increase in GDP positively and significantly enhances carbon emissions. Additionally, the square of real GDP negatively and significantly stimulates carbon emissions for the same countries like Brunei Darussalam, China, Colombia, Croatia, Egypt, Georgia, Iran, Israel, Jordan, Macedonia, Malaysia, Moldova, New Zealand, Pakistan, Panama, Qatar, Romania, Russian Federation, Singapore, Sri Lanka, Thailand, Ukraine, and Vietnam. These results validate the EKC hypothesis for the above 23-countries. Besides, an increase in GDP negatively and significantly stimulates CO2 emissions for countries like Azerbaijan, Bahrain, Bangladesh, Belarus, Bosnia and Herzegovina, Czech Republic, Ethiopia, India, Indonesia, Iraq, Kazakhstan, Korea Republic, Kyrgyz Republic, Mongolia, Morocco, Myanmar, Nepal, Oman, Poland, Saudi Arabia, Slovak Republic, Slovak Republic, South Africa, Turkey, and Yemen. On the other hand, the results show a positive and significant relationship between carbon emissions and square of economic growth for countries like Albania, Azerbaijan, Bangladesh, Belarus, Bosnia and Herzegovina, Czech Republic, Ethiopia, India, Iraq, Kazakhstan, Korea Republic, Lebanon, Mongolia, Morocco, Myanmar, Nepal, Oman, Poland, Saudi Arabia, Slovak Republic, Turkey, and South Africa. The reported coefficient of financial development is positively and significantly related to CO2 emissions in countries like Albania, Bangladesh, Belarus, Ethiopia, Kazakhstan, Kyrgyz Republic, Philippines, Romania, Russia, Slovak Republic, Vietnam, and Yemen, and negative relationships were found between financial development and CO2 emissions for countries like Brunei Darussalam, Czech Republic, Egypt, Korea, Macedonia, Malaysia, New Zealand, Oman, and Ukraine. The estimated coefficient of foreign direct investment to CO2 emissions is significant and positive for countries like Ethiopia, Hungary, India, Israel, Macedonia, Mongolia, Nepal, Qatar, Slovak Republic, Tajikistan, and Ukraine. Similarly, the negative and significant impact of foreign direct investment on CO2 is observed for countries like Belarus, Bosnia and Herzegovina, China, Kazakhstan, Moldova, Russia, Saudi Arabia, Thailand, and Turkey. Regarding the coefficient of electricity consumption, the results infers that electricity consumptions positively and significantly impact CO2 emissions for countries like Armenia, Azerbaijan, Bahrain, Bangladesh, Bosnia and Herzegovina, Bulgaria, China, Colombia, Croatia, Czech, Republic, Egypt, Ethiopia, Hungary, India, Iran, Iraq, Israel, Jordan, Kazakhstan, Korea Republic, Kuwait, Kyrgyz Republic, Macedonia, Moldova, Mongolia, Morocco, Myanmar, Nepal, New Zealand, Oman, Panama, Philippines, Poland, Romania, Slovak Republic, South Africa, Thailand, Turkey, Ukraine, United Arab Emirate, Vietnam, and Yemen Republic. On the other hand is negatively and significantly impact on CO2 emissions for countries like Russia and Tajikistan. Finally, the trade openness positively and significantly impacts on CO2 emissions for countries like Azerbaijan, Belarus, Bosnia and Herzegovina, Jordan, Morocco, Nepal, New Zealand, Russian Federation, Saudi Arabia, and Yemen, and negatively and significantly impacts emissions of CO2 for countries like Albania, Cambodia, India, Israel, Kyrgyz Republic, Lebanon, Malaysia, Oman, Philippines, Singapore, Singapore, Slovenia, South Africa, and Tajikistan. Along with the short-run and the long-run relationship among the explanatory variables, it is imperative to know the causal links among them. This study relies on the recent pairwise Dumitrescu-Hurlin (DH) panel causality test established by Dumitrescu and Hurlin (2012). It is an advanced version of the Granger non-causality test for panel data. Additionally, this technique comprises two statistics, i.e., Wbar statistics and Zbar statistics. The Wbar statistics yields the test average statistics, while the standard normal distribution is represented by the Zbar statistics (Dumitrescu and Hurlin 2012). Finally, the direction of causality will assist the policymakers in order to regulate appropriate economic policies along with environmental strategies in the selected BRI countries. The DH panel causality test results are provided in Table 7. The direction and sign of causality can be identified from the coefficients of significance levels of the desired variables. The results unveil that in the long-run bidirectional causality, feedback effect exists between economic growth and carbon dioxide emissions. Similar results are also confirmed by prior scholars, such as Katircioglu (2017). The direction of causality shows that economic growth causes carbon emissions, and vice versa. The economic growth causes high CO2 emissions in the BRI countries, which implies that economic growth not only corrosively affects environmental quality, causing global warming, but also can affect human health. The high economic growth among the BRI countries can lead to long-term pollution. Such worsen situation can be controlled through the availability of pollution-fighting equipment and through the use of advanced technology. In case some BRI countries would not take any CO2 emissions prevention initiatives or pollution-fighting steps in the long run, the EKC will most likely to change from the inverted U-shaped curve to the N-shaped curve. Likewise, the results also support the bidirectional causality between the square of economic growth and CO2 emissions. This result is in line with the result reached by Katircioglu (2017). Similarly, a bidirectional causal relationship exists between financial development and CO2 emissions. The presence of two-way causality between CO2 emissions and financial development is also called the feedback hypothesis, which infers that both financial development and emissions of carbon are joint effects on each other (Al-Mulali et al. 2015a). The bidirectional relationship was also observed between foreign direct investment and CO2 emissions. Salahuddin et al. (2017) also find a similar causal link in their study. Two-way causal relationships exist between trade openness and economic growth, which is similar to the finding reached by Dogan and Turkekul (2015). Electricity consumption and CO2 emissions also have a two-way causal link, which supports the causal relationship reached by Farhani and Ozturk (2015). A bidirectional causal link exists between trade and financial development, which is similar to the finding of Dogan and Turkekul (2015). A two-way causality link was observed between trade openness and GDP, the same finding detected by Dogan and Turkekul (2015). Trade openness and CO2 emissions also have bidirectional causality. This result supports the finding reached by Farhani and Ozturk (2015). Similarly, bidirectional causal relationships were observed between; foreign direct investment and economic growth, trade openness and economic growth, electricity consumption and economic growth, trade openness and square of economic growth, financial development and square of economic growth, foreign direct investment and financial development, electricity consumption and foreign direct investment, trade openness and financial development, and trade openness and electricity power consumption. Besides, a unidirectional causal relationship was detected, running from trade openness towards foreign direct investment. Moreover, there is no causal link detected between foreign direct investment and trade openness, and foreign direct investment and CO2 emissions. This study aims to investigate the impact of financial development and economic growth on environmental quality thoroughly and more deeply, to contribute theoretically as well as empirically to the well-known EKC model in the selected BRI countries for the period 1990–2016. The selected BRI countries are composed of a large part of the world and account for a large level of carbon emissions, foreign direct investment, financial development, economic growth, electricity consumption, and trade openness. The empirical finding of this study is of essential guidance and assistance for the governments and policymakers to initiate and sharpen the environmental regulation-related policies in the selected panel countries. Initially, to check the presence of cross-sectional dependence in panel data, Pesaran’s CD test is used. The CIPS and CADF panel unit root tests are employed, which interpret cross-sectional dependence in panel data and provide more robust results. The finding shows the presence of stationarity at their first differences among the analyzed variables. Further, to solve the heterogeneity problems, the Westerlund (2007) cointegration test is used. The novel dynamic seemingly unrelated regression (DSUR) estimator is employed. Moreover, the country-wise results are also provided for better policy implication. Finally, the newly developed Dumitrescu and Hurlin (2012) panel causality approach is used to detect the causal relationships among the analyzed variables. The long-run cointegration coefficients were estimated by the DSUR method developed by Mark et al. (2005), which provide more reliable and robust results. The empirical results from the DSUR estimate validate the EKC hypothesis for the selected panel countries. The foreign direct investment, financial development, and trade openness (i.e., trade openness only in model-2) enhances environmental quality. Finally, the electricity consumption in the BRI countries negatively contributes to environmental quality. The DH panel causality test results reveals the presence of bidirectional causality between FDI and financial development, FDI and environmental quality, economic growth and environmental quality, square of economic growth and environmental quality, financial development and environmental quality, economic growth and electricity consumption, foreign direct investment and economic growth, and electricity power consumption and financial development. Furthermore, the presence of one-way causal relationships was observed running from FDI towards both environmental quality and trade openness. The country-wise analysis empirical results validate the EKC hypothesis in 23-countries, and the negative impact of economic growth on the environment is observed in 26-countries. Financial development negatively contributes to environmental quality in 12-countries and positively contributes to environmental quality in 9-BRI countries. Similarly, FDI negatively impacts environmental quality in 11-countries and positively impacts environmental quality in 9-countries. The electricity consumption negatively contributes to the environment in 44-countries and positively contributes to enhancing environmental quality in 2-BRI countries. Likewise, trade openness is positively contributing in enhancing environmental quality in 14-countries and, on the other hand, is negatively contributing in enhancing environmental quality in 10-BRI countries. In regard to policy implications and recommendations, the governments and the energy-environmental policymakers need to take several initiative steps to identify and implement appropriate interventions to break and mitigate the boosting trends of CO2 emissions in high-CO2 emissions BRI countries. These countries should increase the real economic growth via boosting production of goods and services (as the panel results validate the EKC hypotheses) to mitigate emissions of carbon. Furthermore, taking into account the global pressure to increase economic growth, the stakeholders aims to reduce the financial costs involved and ensure the social benefits. Second, the energy consumption in these countries can also be mitigated via high financial supports of scientific intuitions and research-related projects. These steps can efficiently reduce energy intensity by embracing electricity consumption efficiency, as Wang et al. (2015) find that high energy consumption is a potential motive for enhancing the level of carbon emissions. Third, the governments and policymakers should increase shares in the financial development of the financial sector, to highly invest in the energy-efficient and environment-friendly related projects, which will also mitigate energy consumption from trade openness. Mukhopadhyay (2009) offers that trade openness is highly contributing to economic growth and environmental degradation in emerging countries including China, Thailand, and Indonesia. Further clean and environment-friendly technologies are required for trade goods productions, as an increase in intra-group trade among BRI countries can assist the adaptation of advance environment-friendly technologies, i.e., technology spillover. Vision and Actions on Jointly Building Silk Road Economic Belt and Twenty-First century Maritime Silk Road, the People’s Republic of China, March 2015. The authors wish to thank to the responsible editor: Dr. Muhammad Shahbaz and anonymous reviewers’ referees for their constructive and valuable comments for enhancing the quality of the paper. This work is a research achievement of the National Natural Science Foundation of China under the project of (NSFC-71672009.71372016).